I’ll answer your questions and make an honest recommendation for the right press. 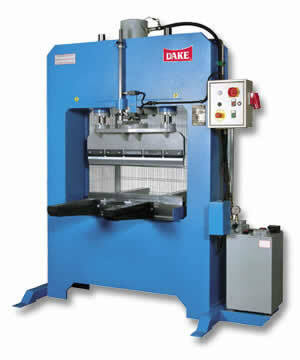 Guided platen hydraulic H-Frame press brake. The PDL series goes from 40 to 150 Tons and is a manual 2 post design.